I first encountered the field of Service Design for Social Impact through my participation in Desmeem, a cross-cultural collaborative program using Design Thinking to collaborate with organisations in helping them address their challenges. It was during this three month workshop that I was immersed in Design Research and was given the opportunity to unlock insights and bring innovative solutions to an organisation by co-creating with users. Since this initial exposure over six years ago, my interest in and professional inclination towards Design Research continues to grow. During this period, I have co-created several projects and events, where I have brought Design Thinking to different disciplines, as outlined below. Beirut green guide: A movement that led to the city's first green map. The Beirut Green Project is a grassroots movement aiming to raise awareness on the importance of having more usable public green spaces in the city. Using Design Research, the movement was born from a public intervention that led to building the Beirut Green Guide, the city's first green map. Learn more about how we turned a community-led movement into a product benefiting the city. What can Design do to lift ideas OFF THE GROUND? This was the initial question that pushed me to organise Beirut's first Design Thinking Hackathon that brought together 30 creatives from various disciplines to work on social initiatives in their early stages. I partnered with London based innovation studio Pollen8 to put together the two- day event as a response to Beirut Design Week's theme "Is Design a need?". We kicked off with a keynote speech and a panel discussion after which local and international participants worked on their projects for 36hours using Design Thinking methods with the help of skilled facilitators. An ongoing research question in my practice is gathering insights on why people create and what compels them to do so. Sense Worldwide is an innovation studio based in London that incubates the Now Network, a global network of creatives. 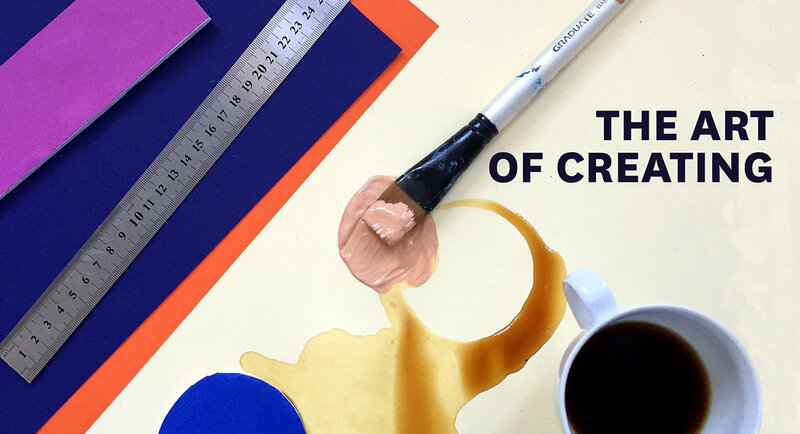 In February 2017, we launched a breakfast series to explore that topic and I facilitated the first discussion on "The Art of Creating". Participants were asked to pick a superpower during the discussion to reflect on the purpose of their individual practices, and left the workshop with a wish for the planet. Diabetes UK is a non profit organisation based in London that helps patients manage their condition. During my residency in the Service Design studio Uscreates, I assisted the team in designing and facilitating user research workshops for patients managing their condition, so we can co-design the platform's content. OpenIdeo is a collaborative platform pushing for innovation to solve the world’s most complex problems. I joined the team on two challenges (Early Childhood Innovation Prize, and Young Sexual and Reproductive Health challenge ) as a Cross Pollinator and as a Mentor. Using a Human Centered Approach, I added my voice to that of other designers, researchers and thinkers to guide teams to develop their ideas using design thinking methods that would lead to a bigger impact and innovation. I am currently working on re-imagining the journey and the role of Cross-Pollinators by designing a toolkit that will be used on the platform for future challenges. Salzburg Global Seminar is an independent non-profit organisation founded in 1947 that brings together global thought leaders to reflect, act and disrupt industries to make the world a better place. I was invited to be part of two sessions on Session 574 and Session 608 around The Child in the City and The Human connection to Nature in our day.